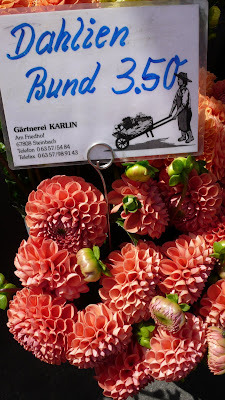 Have you ever cooked with flowers? I can't say I've ever cooked with them, but I have used them as a garnish and as a decoration. 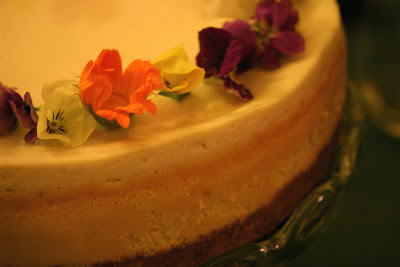 Most recently I used an assortment of flowers containing lots of pansies to top my Easter cheesecake. In this Observer Word of Mouth post Paul Levy discusses his adventures with floral ingredients in relation to a new book by Frances Bissell called "The Scented Kitchen: Cooking with Flowers". It's the first time I've heard of it, but I must admit he has made me very curious about nasturtium mayonnaise. The rather fortunate fallout from our recent Swiss adventure is my renewed obsession with birchermuesli. 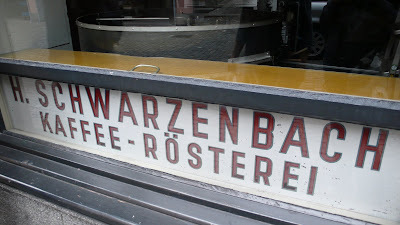 Served by Dr Maximillian Bircher Benner at his Zurich sanatorium around the turn of the 20th century, it has maintained its healthy reputation (although the original required condensed milk for hygiene reasons) as it has gained popularity. It's as common as gipfeli (Swiss croissants) for breakfast in the alps. Don't be mistaken - this is no ordinary muesli. 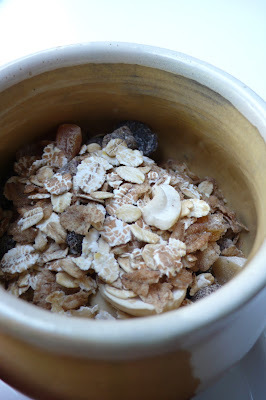 Made well, birchermuesli has none of the stale, sawdust quality that some mueslis have. Although derived from birchermuesli, store-bought Alpen can't compete - partially because the real thing is not a dry cereal at all, but rather a rich, creamy chilled mixture of soaked oats, fresh fruit and dairy products. 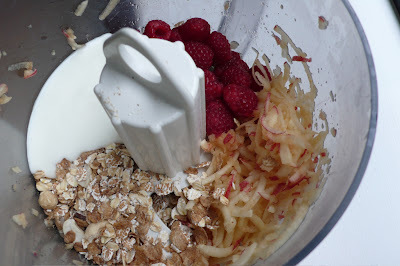 There are many acceptable permutations of the ingredients, but so far my homemade one involves the following: apples, oats, yoghurt and raspberries. I would hazard a guess that my favourite Swiss version included some whipped cream, maybe even the original condensed milk, but I'm trying to keep to the healthy roots. The apple is grated, which gives the dish some sweetness from the juice and texture from the shreds of apple. Traditionally the texture would be even more important since the oats would be soaked overnight, but I don't usually have the time to plan that far in advance and I quite like the extra bite. Much like porridge, birchermuesli isn't always the most appealing looking dish when it's served, but it can easily be jazzed up with some fresh fruit. I've seen kiwi and physillis adorning a bowlful in the most remote of mountain villages in Switzerland so I can assure you this is more than acceptable - as is eating this as an early evening meal. Grate the apple, preferably in a food processor. 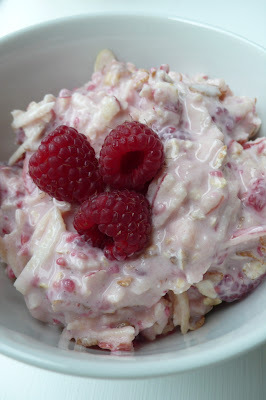 Add muesli/oats, yoghurt and all but a few raspberries and combine until the yoghurt has soaked through and the raspberries have stained the whole mixture a rich pink. 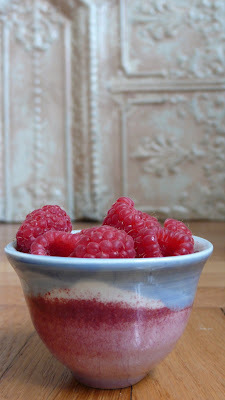 Serve and garnish with the remaining raspberries and/or any other fruit. Eat immediately or chill for up to a few hours. 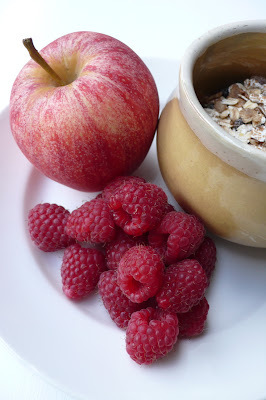 - Soak the muesli/oats overnight in water, milk or fruit juice. Addendum: This is my entry for Kochtopf's apple day event in honour of apple season. According to Kochtopf, apples are the most popular fruit in Switzerland, and I can believe it with so many great recipes to use them in, including the Zürcher Pfarrhaustorte that she blogged about for the event. 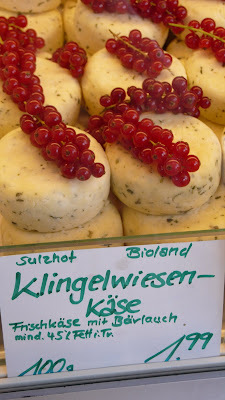 Our recent trip to Germany and Switzerland was a welcome chance to re-visit the cuisine of a land often over-looked as being all sausage and fondue, no substance. 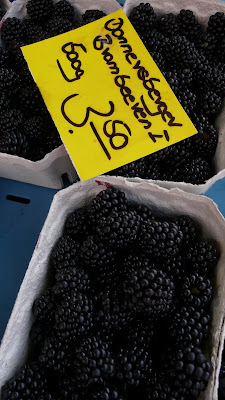 The real local market (affordable, shopable, friendly and without 29 different varieties of aged balsamic vinegar or hemp lavender pillows) lives on in Germany. 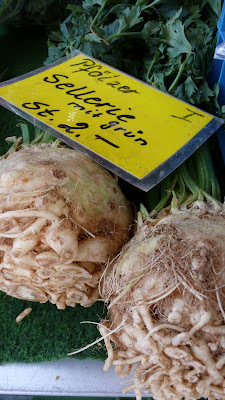 We visited Kaiserslautern's "markt" on a particularly bountiful day in late August. 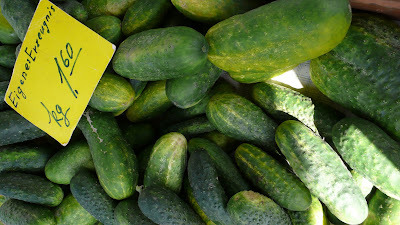 The vendors are professionals who travel from market to market, a different town each day of the week, but who source the majority of their produce, cheese and meat from local growers and makers. The food is fantastic and lacks only pretension. 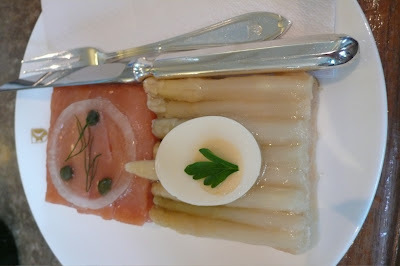 Recently I've started to warm to aspic, and that's something I never thought I would say. 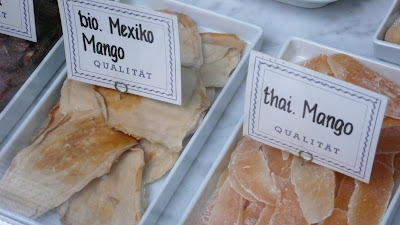 I love the refined sensibility of these open-faced sandwiches from Confiserie Sprungli in Zurich. The Swiss Fortnum and Mason's trademark is the Luxemburgerli, a puffy, lighter version of the French Macaron. Though I am still dedicated to Laduree's gorgeous sandwiched meringues, Luxemburgli are just as gorgeous and are delicious too. 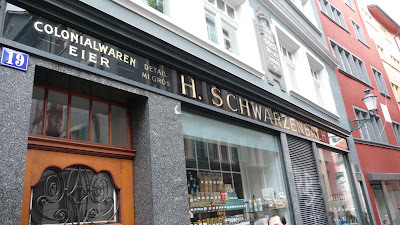 We were very unlucky to come upon the food emporium H. Schwarzenbach (Munstergasse 19) on a Sunday afternoon when they were most definitely closed. 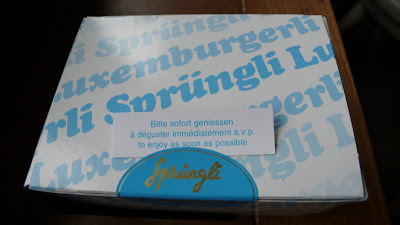 Considering we had just come from Sprungli, that was probably a good thing since we didn't need to eat anything more, but it's definitely on my to do list for my next visit to Zurich. 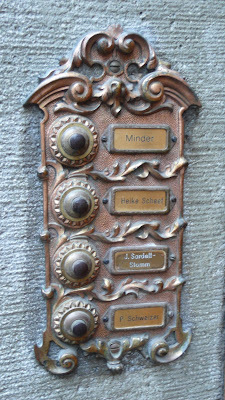 I wouldn't mind having a peek in the flats above either, with such fabulous doorbells they must be beautiful. Have you ever tried ackee and saltfish? Macaroni pie? 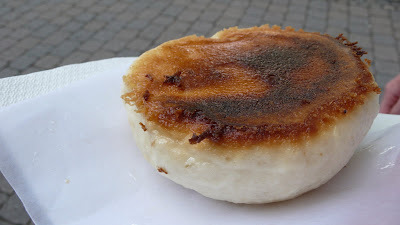 Ever sandwiched a pattie in a soft, sweet coco bread? Do you think Solomon Gundy must be a misspelling of a classic nursery rhyme*? 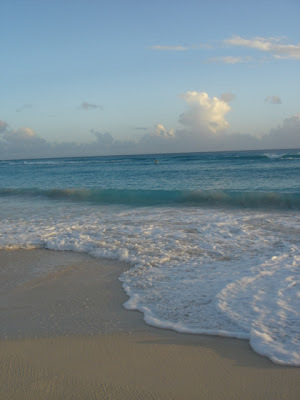 If you've never travelled to the Caribbean you've probably been missing out on the best of West Indian cuisine. According to Wade Lyn's post on word of mouth, The Observer's food blog, "recent research revealed that in Yorkshire 51% of people have tried a samosa and 46% a Thai curry, while across the whole country, only 13% have tried a Caribbean pattie..."
The question of some cuisines becoming more mainstream than others is a complex one that could be the subject of a PhD thesis. It's worth reading the lively debate in the comments section of the word of mouth post; it provides lots of hypotheses and recommendations from readers for place to find the best jerk and rice and peas. 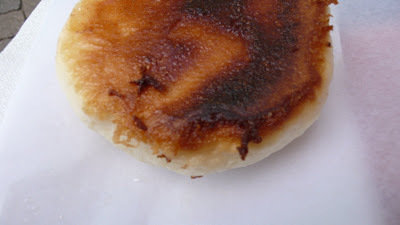 *Solomon Gundy is a spicy smoked herring paste from Jamaica. 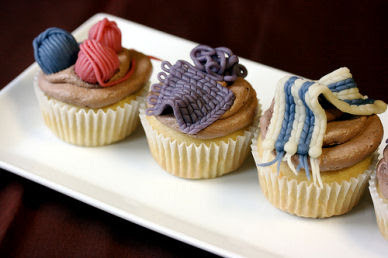 Just when I thought I was getting sick of cupcakes, I see these gorgeous ones from VeganYumYum via Design*Sponge. 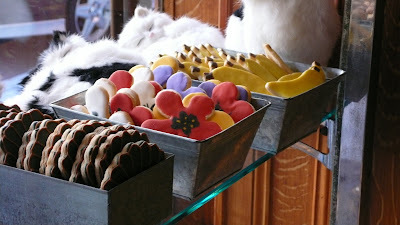 My last days in New York were crammed full of deliciousness of all kinds. At first I tried to fit in all the things I hadn't done, then I went back to revisiting my favourites places. All the while I was finishing up all of my work at the pottery. Considering how quickly it was all glazed, I am happy with the results. This is one of my favourite bowls, filled with one of my favourite fruits. ...but I went all out when we had dinner at Craftsteak. 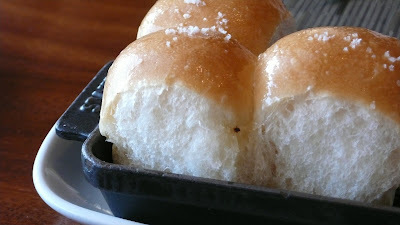 It was a scorching Sunday evening and we were treated to gorgeous buttermilk-esque dinner rolls to start. 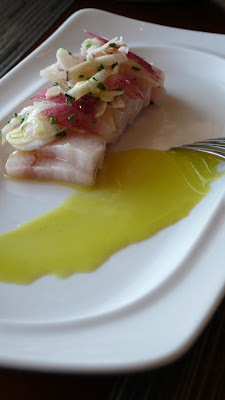 They were followed by silky fresh Hamachi with pineapple, lavender and radish. 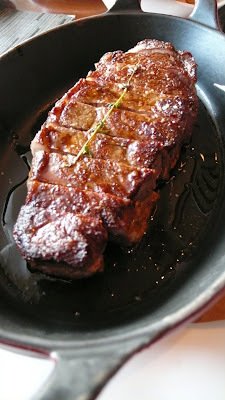 I deliberated on my choice of steak, but decided on medium-rare grass-fed sirloin steak (we were told grass fed beef is more hay-flavoured than buttery, corn fed beef, but slightly less juicy as it is leaner). It was delicious, and the description was spot-on. The steak was much less rich than ones I've had at other NYC steak joints - in a good way. The texture was firmer with a fresh, herbal note. I had to try Jan's dessert before I even tried my own. 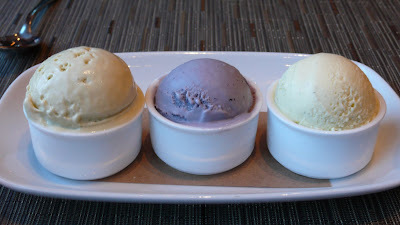 From left to right, three ice creams; honey and lavender, beautiful periwinkle blueberry, and vanilla bean. The lavender overwhelmed the honey, but otherwise that would have been my favourite one. None of the deserts topped my chocolate souffle. 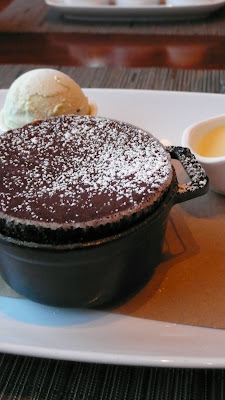 It was rich, thick and dark with chocolate but still light enough to be called a souffle. The mint chocolate chip ice cream that accompanied it was slightly too peppermint for me, I would have been more than happy with just the sweet, creamy custard that came in a tiny pouring boat. 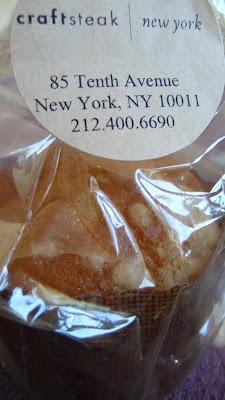 I can't complain at being given a nice little muffin to take home for breakfast the next day. I didn't eat it for breakfast, but I did eat it and it was good. 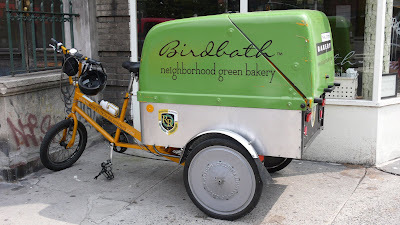 This is the eco-transport of a new bakery that opened on 7th Ave at the corner of Waverly Place a few months ago; Birdbath. It might seem a little gimmicky at first but at least they are making an effort; all the furniture in the shop is made from used, mostly industrial materials, the use of energy was considered in the choice of appliances, lighting, etc, and the books and other objects they sell are all used. And the little carrot cake loaves are great too. And this brings me to the end of my time in New York, which ended up being the end of my kitchen garden too. The plants would have died without me, so I had to get to them first - and the basil was really the only one that was ready to eat. Above the "bountiful" harvest is presented amongst some of my pieces of pottery. 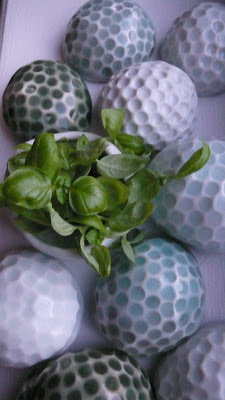 I call them my golf balls. 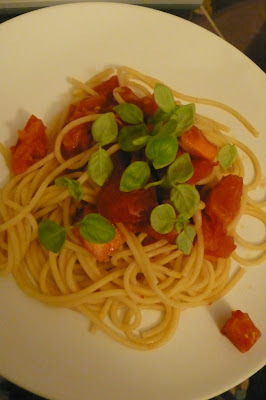 The basil was crisp and full of flavour, and it made my final meal much more notable than it would have been otherwise. Hopefully my second kitchen garden will have more longevity.